Mountain Province, Philippines. Coffee, Honey, Orange, Mushroom and more. 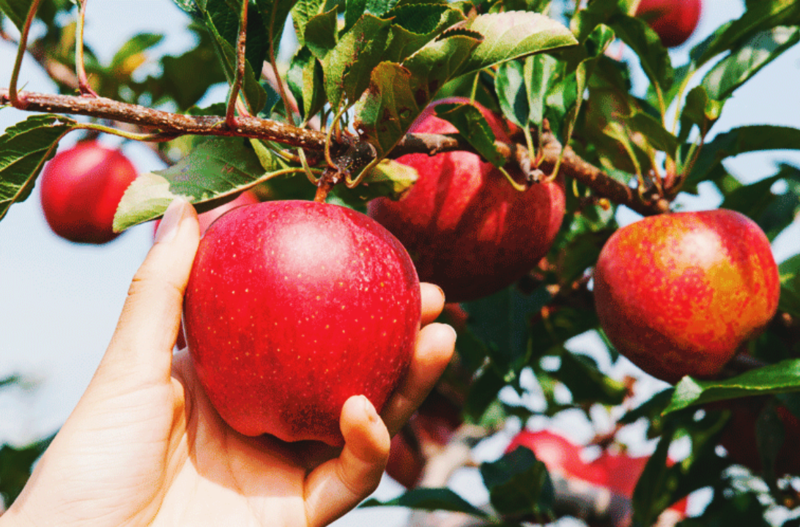 A proposal to revive the apple orchards of Sagada has been floated out there. What do you think? Like, or not? This is not a photo of ripe apples ready to be picked from a tree in Sagada. Right now, all the apple trees that ever grew in Sagada are practically dead. But if the apple industry is to be revived, the photo is a perfect visualization of what people could do — visitors and residents alike — if there are apple orchards in Sagada again. We’ve heard of fake Sagada oranges, but yeah, even apples from China are being marketed as Sagada apples to get people to buy. Maybe it’s time to start growing those delicate apple trees so we could have home grown apples that we could bake into apple pies. So delicious especially if you picked the apples yourself. I am glad that there is a renaissance to grow apple trees again in Sagada. But let me first give light to how apple trees which were already attracting interested farmers,,,,disappeared. Its been half a century since I cut down the last apple tree planted by my father. The culprit was Pink Disease which annihilated all the apple trees in Sagada. It was fungi that rapidly spread over the barks, leaves and even the fruits in just a few minutes. It could not be killed by available fungicide. The only solution back then was to cut and burn until none was left. Even the neighboring towns of Bauko and Besao were affected. Apple farming then became a dead venture. The apple farming technology introduced by 2 Japanese volunteers ( I can remember HARO IWASAWA) who frequented my father’s farm was lost. So my father shifted to citrus trees. However, that was more or less 50 years ago..and if anyone can make a careful study that it is safe to restart apple production again, then it would be another blessing for Sagada. It has the ideal climate for apple growing. NOT MAYBE!!. Sagadans should start growing apples, not only that, but they should be 100% Organic. Think about proper composting methods and natural insecticides. There are a number of apple varieties that are low chill factors so I am surprised that no one has taken this up. But its never too late.